flexxCOACH - Make your time on the ice more Effective! 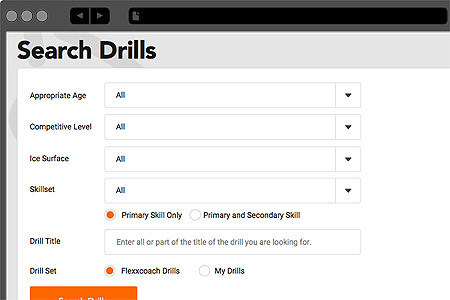 flexxCOACH provides tools coaches need to develop more efficient and effective practices. It's never been easier to plan efficient, effective, and FUN practices. Create engaging practice plans in minutes using our library of 400+ professionally developed, animated drills. Each drill includes tips to help players get the most out of the drill. 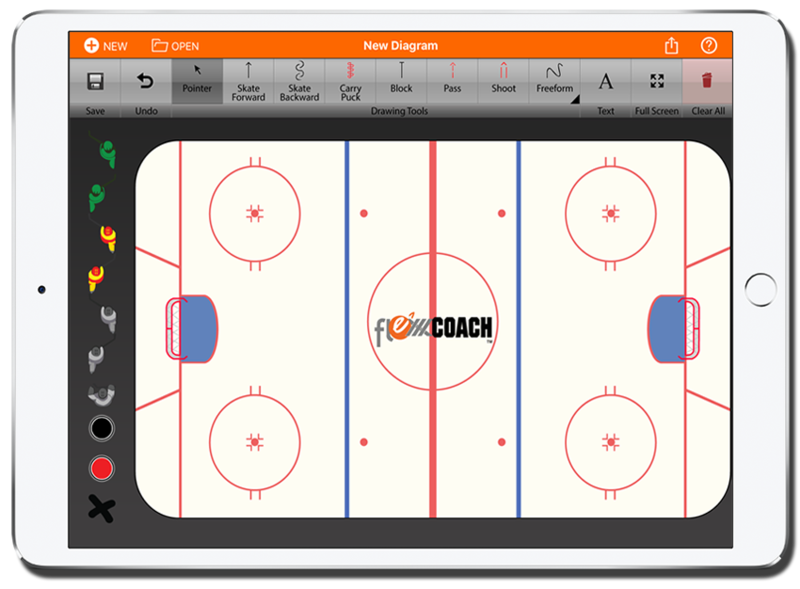 Save time by adding assistant coaches to your flexxCOACH membership so they can help with practice planning and team communication. It's easy to find the right drills for your team, then organize them into cohesive plans. 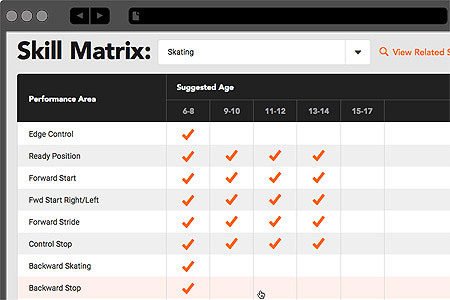 Search for drills by age, competitive level, ice surface, and skillset. Create a team roster and easily share the plans you've created with everyone through email or print your plans to hand them out or post in the locker room. Setup your team schedule (practices and games) and share it your team. Those you share it with have the option of using their own calendar software to subscribe and get automatic updates. Include your plans in the events so the team can be ready for that next practice! You know what your team needs. Bring your ideas to life. Easily put your drill ideas into practice. Draw smooth curved lines for a professional look. Create drill stations. Add a team logo, overlay text and labels for players and coaches. 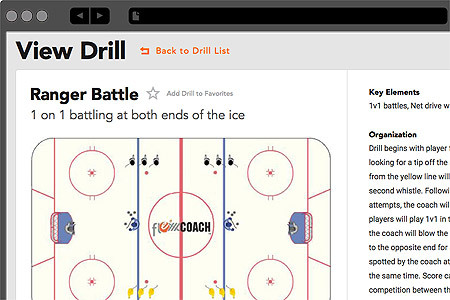 Create and save drills offline, share them online. If you are a Practice Planner subscriber, you can upload drills to your account, then you or your assistant coaches can use them in your practice plans. Easily share your drills with assistants, players and parents. Save drills as images to use in email, Word, Powerpoint, etc., or print drills with 4 simple layouts for handouts. for iPad - v2.5 now available! Sketch and present ideas on the bench or in the locker room! 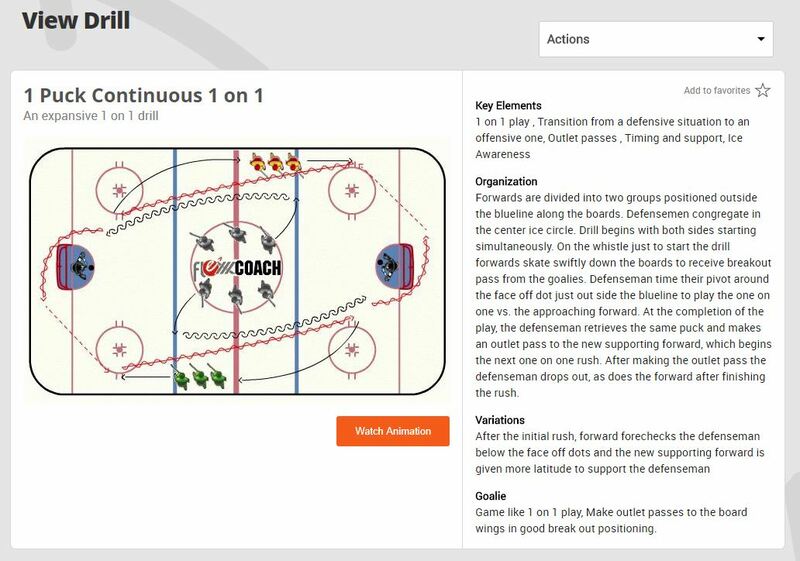 Design plays on the fly or in advance using a complete set of player icons and drawing actions including skate forward, skate backwards, carry puck, shoot and pass. ADD YOUR ROSTER! NEW for v2.5! New with version 2.0 - you can now share your diagrams via text message (MMS) or social media. You can also Print your diagrams too! Save your diagrams for future use and refinement. Quickly recall your saved diagrams in the locker room or on the bench. It's easy to find the right drills for your team, then organize them into cohesive plans. Collaborate with assistant coaches on practice planning and team communication. Adding assistant coaches to your membership saves you time and gets everyone on the same page. Schedule games and practices - include your plans and share the schedule with the team. Parents and players can subscribe to the schedule and see the upcoming practices / plans and drill animations! Keep everyone organized - make your practices efficient and effective! Print or email your plans to your assistants, players, and parents. Plans and animations can be viewed on desktops and all mobile devices! Easily put your drill ideas into practice. 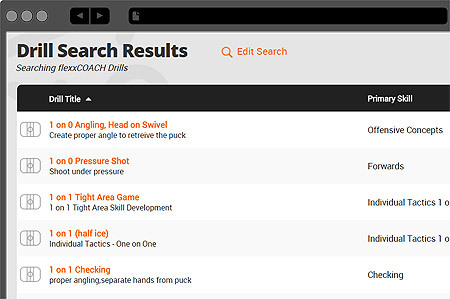 Easily share your drills with assistants, players, and parents. Create and save drills offline, share them online. 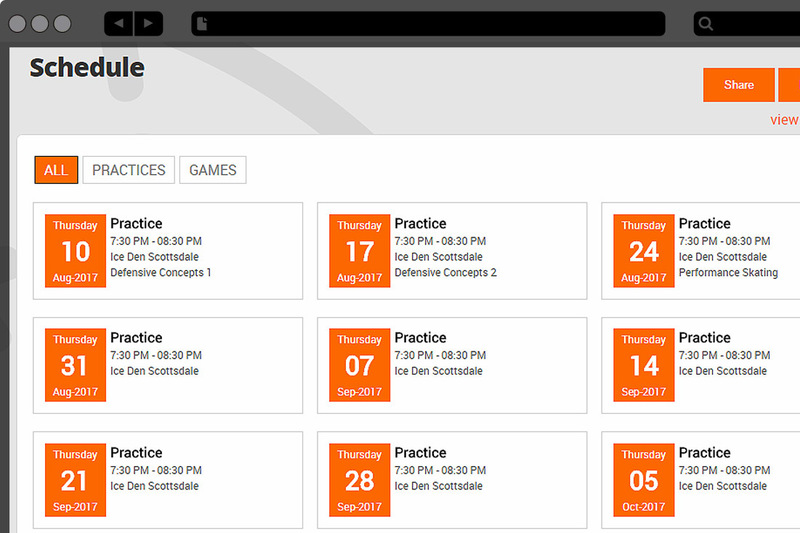 If you are a Practice Planner subscriber, you can upload drills to your account then you or your assistant coaches can use them in your Practice Plans.